The De Tomaso Pantera has a special place in sports car history. At an original sticker price of about $10,000 when new, it was arguably the world's first relatively affordable mid-engined exotic. A Euro-American hybrid with Italian styling and a Ford 351 Cleveland V8, the Pantera was also unusual in that it was sold at Ford dealers from 1971 through 1975. 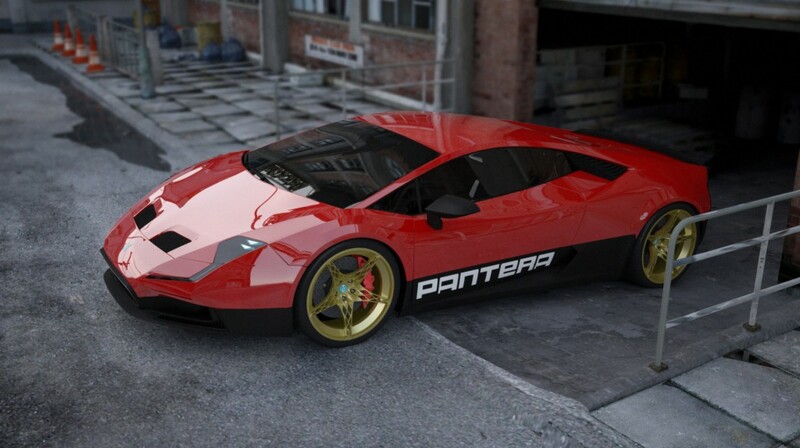 The earliest Panteras had a number of mechanical issues from being pushed to market too early - Elvis Presly even shot the door of his 1971 Pantera with a revolver when it failed to start - but these issues were mostly resolved by 1972. De Tomaso continued to produced the Pantera until 1992 in much more limited numbers and at a continually growing price tag, especially with the introduction of the widebody GT5 in 1980. About 7200 Panteras were ultimately built, 5500 of them from the early years in partnership with Ford. It remains one of the greatest success stories from a small Italian manufacturer of high end sports cars. In 2014, Stefan Schulze was commissioned to create the design for the next generation De Tomaso Pantera and worked on the project until the brand was bought out by a Chinese manufacturer and the project halted. In design philosophy, Schulze's beautiful creation hearkens back to the purism of the earliest Panteras. A definite Lamborghini influence is palpable, and that is perhaps understandable as the Pantera's profile blends well with the cooling vents on the rear quarter of the Huracan, a design that has benefited from about 40 years of advancement in our understanding of aerodynamics. Schulze has noted that the design was still a work in progress when the project was terminated. The wheels are works of art themselves, and unlike the vehicle they were intended for, may find their way into production. Stefan Schulze has created a number of remarkable designs, including the Peugeot 4002 Concept, the Storm Concept, the Tribun Concept, and an earlier Panthera Concept.